Fashionable and versatile. Two words that aptly describe our Black and White series. 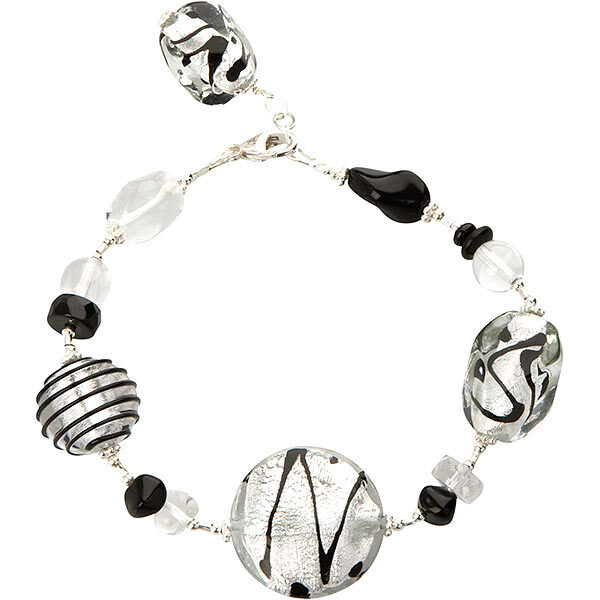 Made with genuine Murano glass beads and Swarovski Crystals and appropriately matching accents, these pieces can be worn any time throughout the year. Shown here is the 7 inch adjustable bracelet with a 1 inch extender, allowing a fit for wrist sizes up to 8 inches. Designed and manufactured in the U.S.